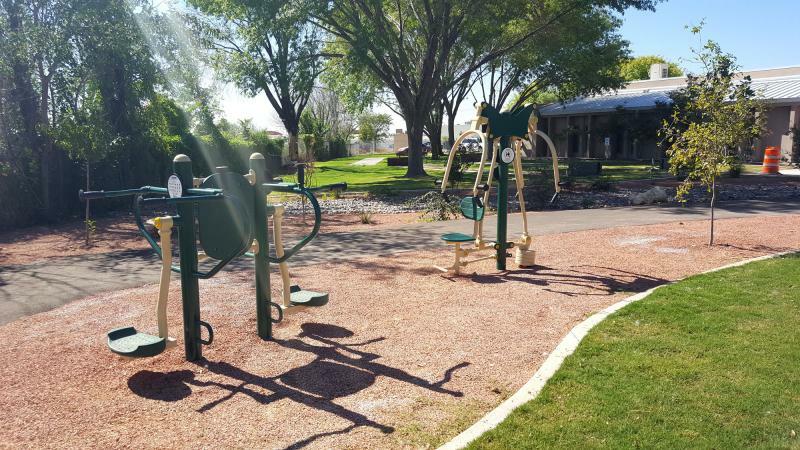 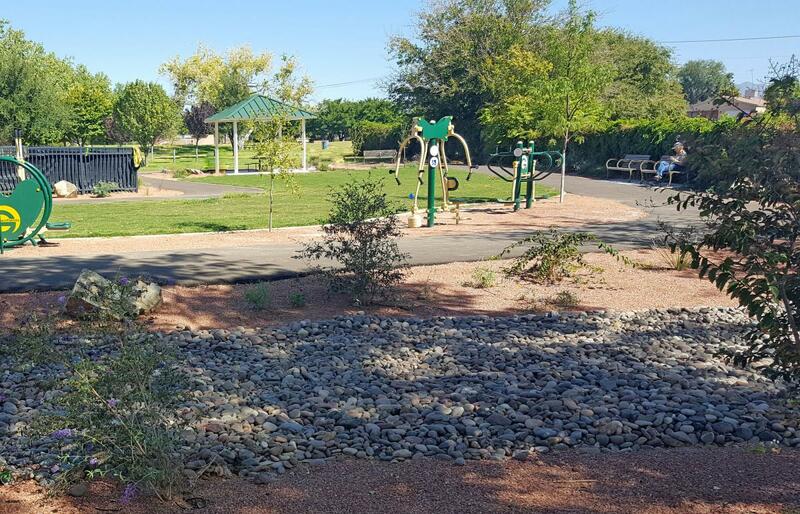 The Las Cruces Parks and Recreation Department likes to call this project their Senior Playground. Through an on-call contract, this project upgraded an unused acre behind the Munson Senior Center and Heske Garden, providing adult exercise equipment, a 1/2 mile trail, shade, seating, pollinator garden, fruit trees and passive water harvesting. 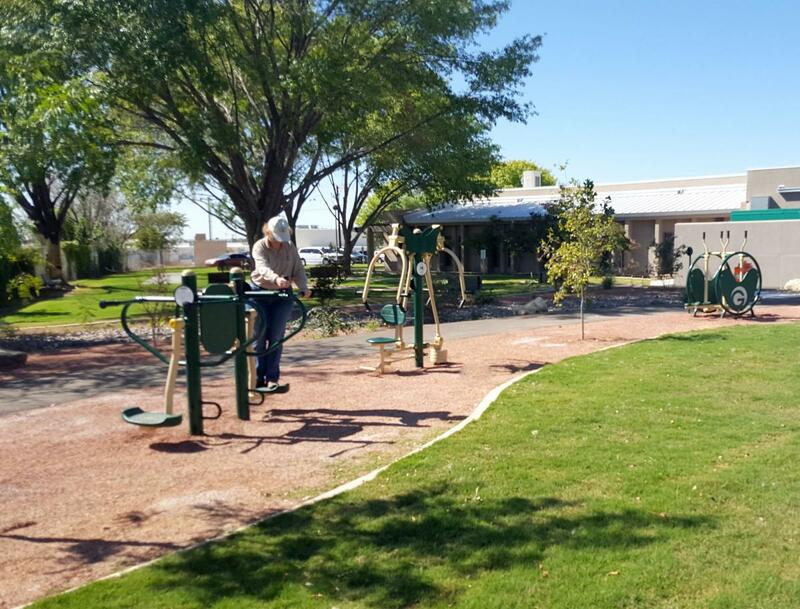 Seniors at the Center voted on their favorite exercise equipment and plants, which helped Groundwork Studio finalize the design.